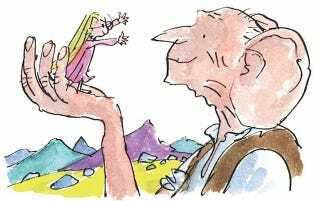 The attempt to adapt Roald Dahl’s The BFG goes all the way back to the early ‘90s. And back then, the idea was for Robin Williams to play the titular Big Friendly Giant. Entertainment Weekly has a story about the lengthy process that brought The BFG to the big screen—but the most interesting detail was that the original BFG was the late actor-comedian. Producers Kathleen Kennedy and Frank Marshall started developing the movie in the early 90s, commissioning many scripts along the way. The project was set aside for long stretches because back then, the technology needed to put main characters—a giant and a young girl—into the same scenes wasn’t good enough yet. He really would have been.